The coming stage requires much effort from our part to earn citizens’ trust through making every endeavor to provide a qualified and conscious cadre of Omani youths through education and practical training that H. M. Sultan Qaboos Bin Said, may Allah protect him, has attached a great attention to, saying “we live in the era of knowledge and witness its constant progress in all fields. This makes us most certain that knowledge and hard work are, together, our means to face the challenges of this era and to build a strong and flourished renaissance based on our Islamic and cultural values”. We are proud of the effort made by Oman Medical Specialty Board (OMSB) during the few years since its foundation to build Omani doctors through qualifying and training them to become specialized in any of the medical specialties. We also admire OMSB participation, with the other health institutions, in drawing a path full of ambitions and lofty goals to enhance the stature of health system and attain integration in provision of health services all around the Sultanate. The solidarity and cooperation we perceive between the different health institutions in training and qualifying Omani doctors and providing all the requirements needed to graduate them fulfills the thoughts of H. M. the Sultan of Oman, satisfies the ambitions of the people of Oman and earns their trust in highly qualified Omani doctors. Oman Medical Specialty Board (OMSB) takes a great heed of training Omani doctors on research, probe, and finding solutions and new techniques in health care in order to enable them having effective contributions in the medical field. OMSB does not only graduate specialized doctors, but also makes a human who takes into consideration the psychological aspect in dealing with his patients. He also takes into consideration the other skills that make him a brother and leader in his environment, a contributor and an interactor with his country’s issues who always endeavor to develop and promote his knowledge. 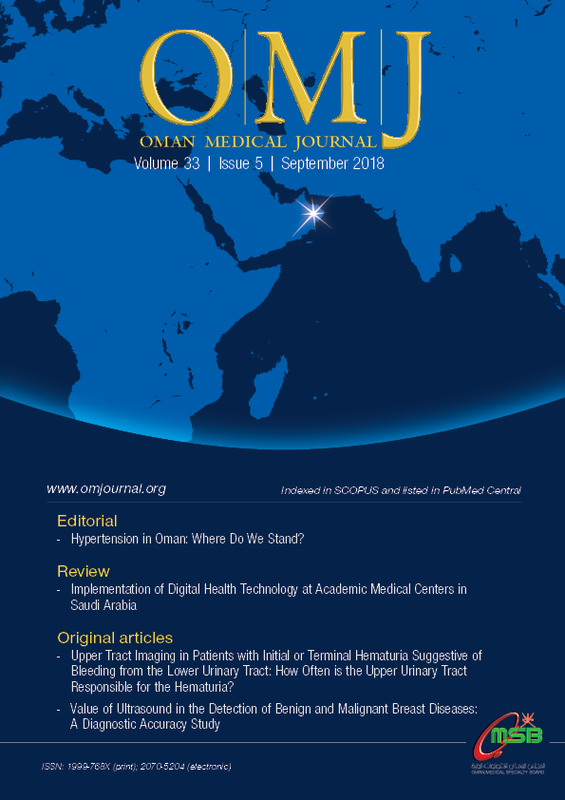 We have opened our minds to the world and we extended our hands to the other in order to benefit from his knowledge and experience, and to keep pace with the accelerating developments in the fields of medicine and science so that Omani doctors can absorb this modern knowledge, deploy it at work, and build their scientific personality accordingly. In OMSB, we do not consider graduation as being the end of the way, as we seek to communicate with our graduates through the Continuous Professional Development that boosts the serious beginning of doctors’ life in hospitals and with real cases. 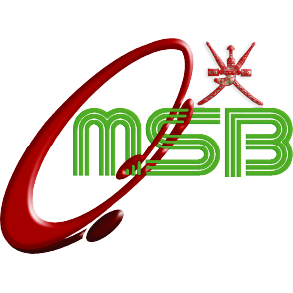 A collection of digital services that unfold the prospects of communication in various service aspects provided by OMSB. OMSB partnership with Prometric which is a wholly-owned subsidiary of Educational Testing Service (ETS) and a trusted provider of technology-enabled testing and assessment solutions. Through this service, Ministry of Health and other public or private institutions use OMSB exams for licensing purposes. In other words, to be able to work for the MoH and other Health Service Institutions, a candidate must sit for OMSB exams. Exams Registration System is a web application that fulfills the requirements of IFOM exam. It facilitates the registration process of IFOM exam and the payment for users. Simulation Course Registration System allows you to register for courses offered by Medical Simulation center at OMSB. You can complete registration process online including payment. The system offers you many features such as dashboard to track and list all registered and completed courses, download certificates and search and register for new courses. New Innovation is a third-party software that provide management of residency programs. It ensure efficient organization of medical staff affairs, personnel information and files, on-boarding, and physician credentialing retention. In addition, it ensure all certifications, licenses, and other endorsements are up to date. Training letters and immunizations can be stored and updated in a centralized place to ensure compliance with accrediting bodies. OMSB Fellowship Online Application for Adult Diabetes Fellowship Program is a system that manage the registration process of shortlisting the applicants for OMSB Fellowship as per the Admission and Registration criteria. Certificates Equivalency System allows users who are appointed by Ministry of Health (MOH) to upload doctor’s certificates to equivalence their certificates. The Oman Medical Specialty Board (OMSB) leverages the DataFlow Group’s specialized Primary Source Verification (PSV) solutions to screen the credentials of healthcare professionals practicing in the Sultanate. Through this service, you can apply to check and verify your certificate and qualifications. Medical Information Center and Library pursue to provide our residences with up-to-date medical information. The library e-portal is the gateway to access the latest updates in different medical specialties. The Oman Medical Specialty Board (OMSB) which is the postgraduate medical training body in Oman aims to achieve excellence in medical education, research and patients care by establishing Medical Simulation Center (MSC). The center combines training techniques from high-risk specialties in Emergency Medicine, Critical Care and Surgical Specialties with the latest medical simulation technologies. It's fully integrated into the residency training programs of Oman Medical Specialty Board to enhance the practical aspects of their training. It also provides the next generation doctors and other allied health professionals hands-on-training of procedures in difficult and potentially dangerous conditions without any risk to patients. توقيع اتفاقية تعاون بين المجلس العماني للاختصاصات الطبية وشركة "حلول وخدمات سلاسل الثقة"
It intends to engage and inform doctors, researchers and other health professionals by publishing a wide range of peer-reviewed articles in various medical disciplines. The Oman Medical OMSB was established by the Royal Decree 31/2006 issued on 03 Rabai I, 1427 H, corresponding to April 2, 2006. It is an autonomous body located in Muscat, Sultanate of Oman. OMSB formulates proper standards and criteria for practicing healthcare professions. It also aims at upgrading professional performance, developing skills that enrich scientific literature, and properly applying knowledge in the various fields of healthcare specialties. HISTORY OMSB was established by the Royal Decree 31/2006 issued on 03 Rabai I, 1427 H, corresponding to April 2, 2006. It is an autonomous body located in Muscat, Sultanate of Oman. OMSB formulates proper standards and criteria for practicing healthcare professions. It also aims at upgrading professional performance, developing skills that enrich scientific literature, and properly applying knowledge in the various fields of healthcare specialties. VISION Leading advancement of medical professions to ensure excellence in healthcare. OMSB’s vision is embraced through 4 dimensions namely: Leadership, Impact, Fit to Practice, and Education forming (LIFE). Thus, the advancement of medical professions is attained through assuring that our graduates are provided with the best education and are also fit-to-practice their specialties; and excellence in healthcare is achieved through the best leadership practices and the profound and lasting impact it has. MISSION We are an autonomous body furthering the growth of human resources for health, through developing specialized physicians and assuring the competencies of health care professionals for a healthier and a happier community. While carrying out our mission, the employees make sure to implement OMSB’s core values specifically: we care for all, we nurture individual creativity, we connect across domains, and we value relationships, while fulfilling OMSB’s main purpose towards it vision.